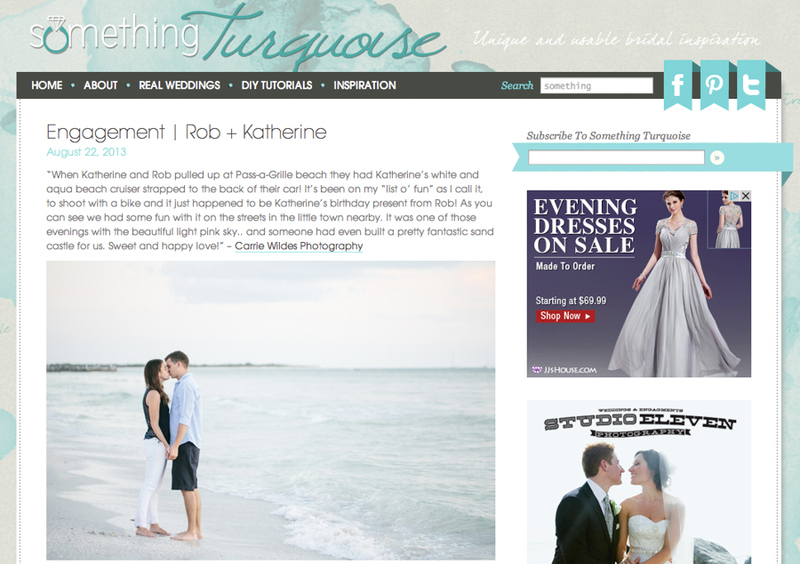 We had to submit Katherine and Rob's engagement session to Something Turquoise! They liked it as much as we do and featured this pretty beach session with sandcastles and a fun beach cruiser! Definitely check out their story, and get a little insight into their wedding details as well!